The CMS on Thursday finalized a rule that will pay doctors for virtual visits and overhaul Medicare billing standards for office visits that haven't changed since the 1990s. 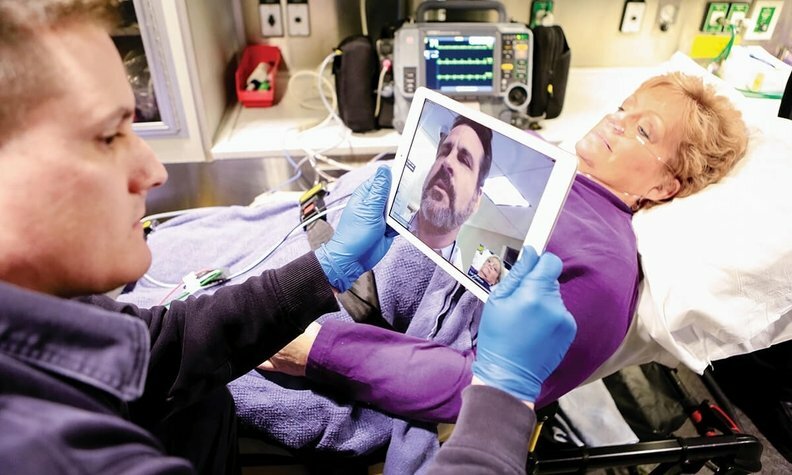 The agency will now pay doctors for telehealth visits and communication with patients, acknowledging the time those efforts take. The CMS also will change how physicians bill Medicare for patient visits under a relatively generic set of codes that distinguish level of complexity and site of care, known as evaluation and management visit codes. Doctors long have been concerned about the codes' documentation standards. The CMS has used evaluation and management visit codes since 1995. One of the largest complaints about the E/M codes was that clinicians had to provide a comprehensive medical history each time they submit a claim. They'd rather document why a patient is receiving care in a specific instance of treatment. Starting next year, doctors will only have to highlight what's changed since they last saw the patient, versus restating their whole medical history. Elsewhere in the rule, the agency plans to continue a controversial site-neutral policy launched in 2018. For the second year in a row, off-campus facilities built after Nov. 2, 2015, will be paid 40% of the outpatient rates for the services they provide. "We are disappointed that CMS will continue its short-sighted site-neutral policies that ignore the need for hospitals to modernize existing facilities so that they can provide the most up-to-date, high-quality services to their patients and communities," said Ashley Thompson, senior vice president at American Hospital Association. The policy encourages fairer competition between hospitals and physician practices by promoting greater payment alignment between outpatient care settings, according to the CMS. The agency is tweaking the Merit-based Incentive Payment System by junking 26 quality measures that it deemed ineffective after hearing from stakeholders. The proposed rule adds eight quality measures including four based on patients' reporting of their outcomes. The CMS also seeks to expand provider participating in MIPS. First, it is expanding eligible clinicians for the program to include physical therapists, occupational therapists, clinical social workers and clinical psychologists. It is also finalizing an opt-in policy that allows some clinicians, who otherwise would have been excluded under the low-volume threshold, the option to participate in MIPS. Under MIPS, doctors must hit certain quality thresholds. Those who don't must pay a penalty that is redistributed to the high performers. In 2021, practices are eligible for $390 million in incentive payments under MIPS, up from the $118 million the CMS expects to pay out in 2020. The raise is due to more doctors participating in the program. The agency estimates 798,000 clinicians will be participating in MIPS in 2019, that's up from 642,000 eligible clinicians it estimated was in the program in 2017.